This item includes both the Topmix.Touch terminal and the PMA.Evolution scale, each of which can be purchased separately elsewhere on the BuySmartTools.com website, if so desired. No two reds are alike – finding the exact match requires solid craftsmanship, many years of experience and a feeling for the right color mix. 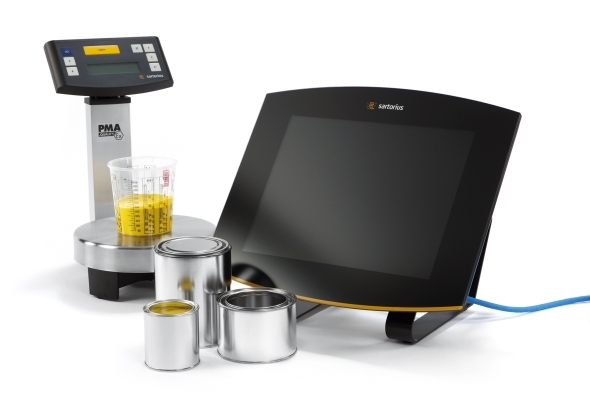 Just one look at the new Sartorius TopMix2.Touch, and you’ll see why its features define the new benchmarks in the paint mixing room: Its 15” multi-touch display along with a compact footprint offers a unique level of operating convenience in Zone 1 | Class I, Div. 1 hazardous areas.